Gold plated rings are the ideal jewelry to wear when you want to add grace and femininity to your style. Beautiful, affordable and elegant, gold plated rings can be paired with any outfit and worn on any occasion. An exquisite rose gold ring combined with a set of rose gold bangles can be the recipe for a stylish and contemporary outfit. A statement ring can transform a simple dress into one worthy of a fashion icon. Last, but not least, a delicate fine 14k gold ring will bring glamour to a classic white shirt and pair of jeans. At Ana Luisa NY we design unique gold plated rings and jewelry. Each piece is carefully handcrafted to offer a luxury look and feel and each ring comes in a beautiful premium ring box. And in case you don’t know what to choose, don’t worry. 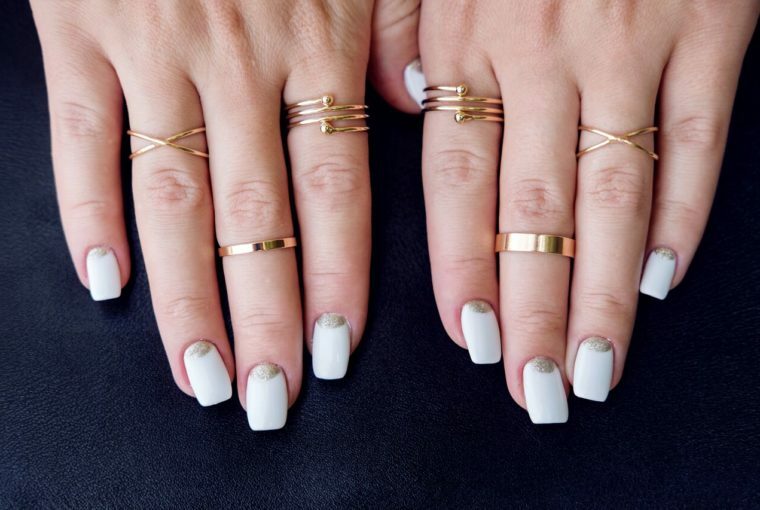 Our jewelry stylists are here to share with you the top 3 gold plated rings you need to own. There is an old and beautiful legend saying that if a man offers his lover a moonstone on a night with a full moon, their love will forever be passionate. There are many legends involving this mysterious and exquisite stone and all of them talk about good fortune, romance, and abundance. This is why we have decided to start our gold plated rings selection with our amazing Janet model. 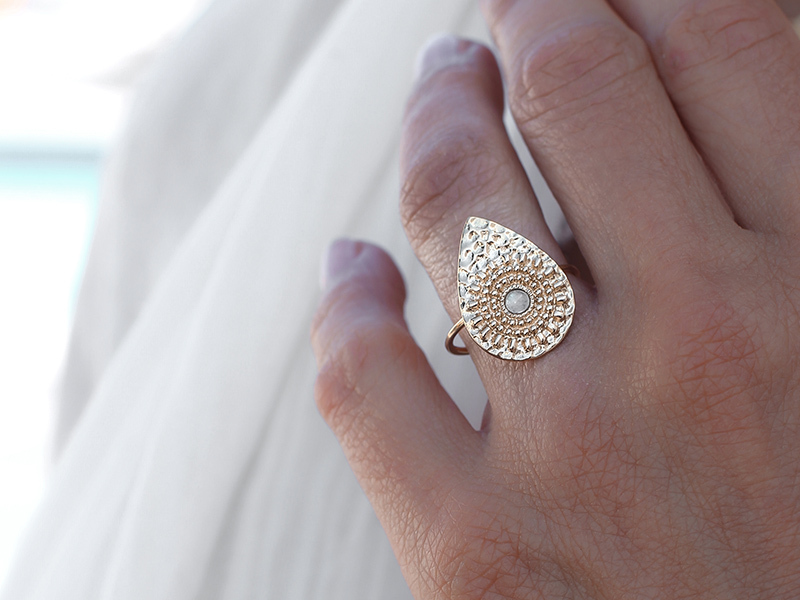 This 14k gold plated ring shaped like a teardrop features a central delicate moonstone. Its design represents the perfect balance between finesse and power, subtlety and refinement. Janet ring is ideal to wear on a formal occasion with a black satin dress or a feminine white suit. Pair it with delicate stud earrings and you will get a classy chic look. A fine 14k gold plated ring, Adele has a romantic woven design and a delicate texture. Its sophisticated design symbolizes a never-ending story of grace and refinement. Adele is a cocktail ring best worn with a floral off-the-shoulder dress and fine gold bangles. Jodie ring’s design is inspired by creative and rebellious women who love their jewelry to showcase their playful side. 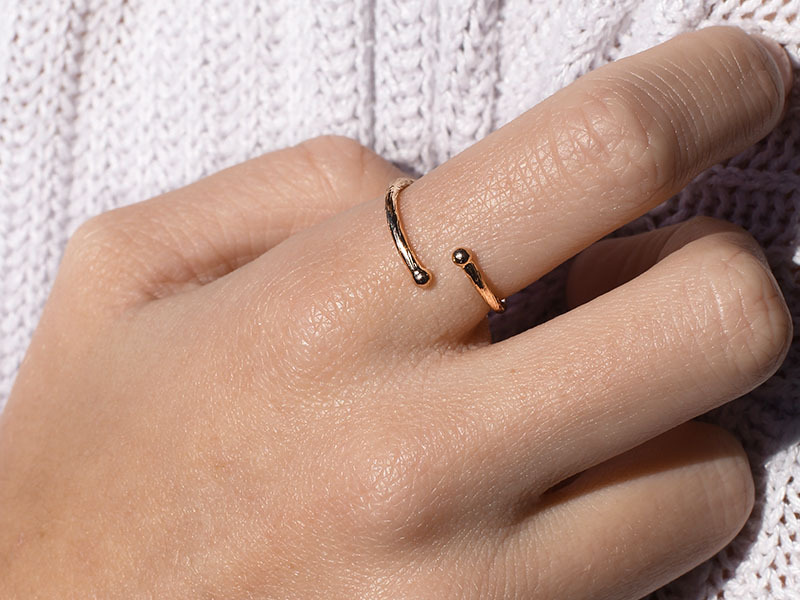 Dipped in 14k gold and with a trendy design, Jodie ring can be worn individually stacked in a set. Due to its versatile design, you can wear this ring at the office, on a date or on a formal occasion. How to take care of your gold plated rings? Gold plated rings from Ana Luisa are high-quality, limited edition and beautifully handcrafted. When you purchase a 14k gold plated ring from Ana Luisa you receive it in a premium ring box along with its warranty certificate. The gold plated rings from Ana Luisa will not get scratched or tarnished and they will maintain their sophisticated luxury look. However, you also need to take care of your gold plated jewelry. So here is what you can do to maintain your gold plated rings. Chlorine water, the chemical substances form perfumes and creams as well as other liquids can damage the precious materials your ring is made of. Don’t forget to take your ring off when entering the water, doing your nails or putting on perfume. You can also use microfiber, but try not to use any materials that may be abrasive. Gold is a very soft metal and it can get scratched if you clean your ring using a hard brush, for example. You should also clean your ring regularly because it stays in direct contact with your skin and, in time, perspiration can affect it. If you maintain it regularly, then you prevent your gold plated ring from getting tarnished. The Ana Luisa pouch is specially designed to protect your gold plated earrings from dust, humidity or scratches inside the jewelry box. To make sure that your ring retains its luxury feel, store it in its original pouch. You shouldn’t wear your ring in the kitchen or when doing chores. You should also avoid wearing it when exercising. Ana Luisa gold plated rings are durable and beautiful, but, as with any gold plated item you need to be a little bit careful. Choose your favorite Ana Luisa gold plated ring and wear it to compliment your outfits and make your style shine. Check our online jewelry shop for more products and read our blog for fashion inspiration. Make sure to share this page with your friends as well and comment below to let us know if you are a Janet, Adele or Jodie.